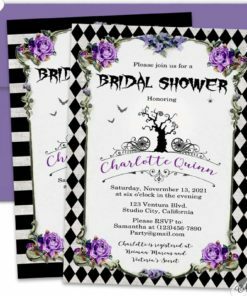 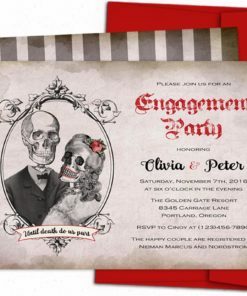 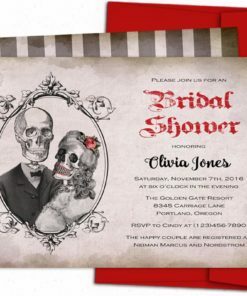 Halloween nightmare before christmas bridal shower invitations, digital or printed sally vintage style invites. 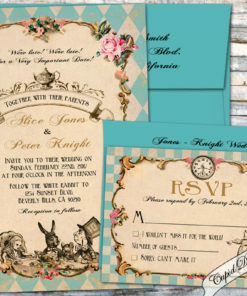 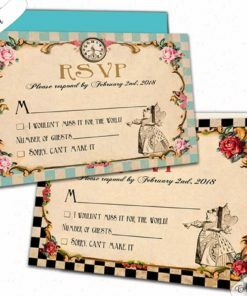 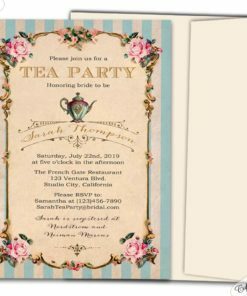 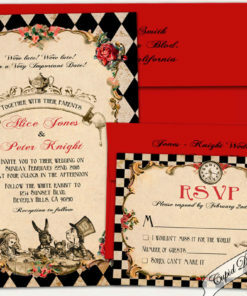 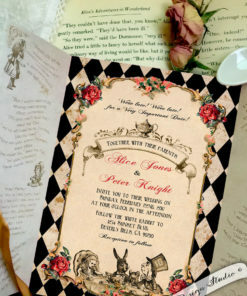 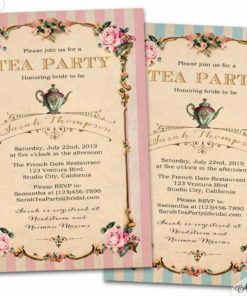 Alice in Wonderland Wedding RSVP card. 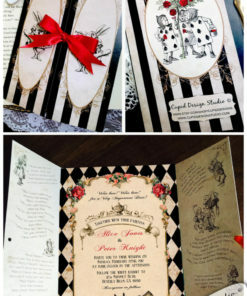 Queen of Hearts wedding invites matching card.